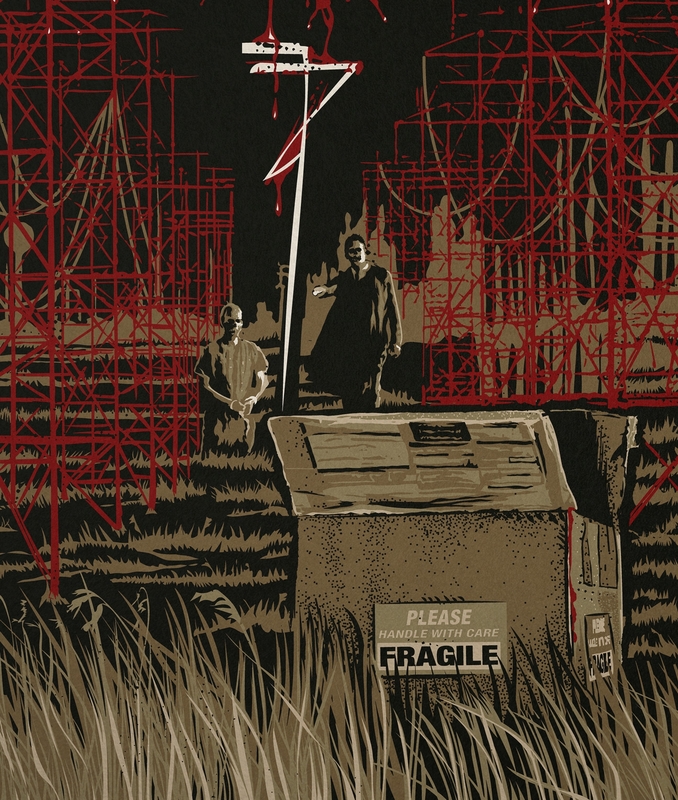 Again Christopher Cox was privately commissioned by a group of collectors, only this time (Cox will speak in first person on this one) I was asked to create something for what has remained one of my favorite movies of all time. 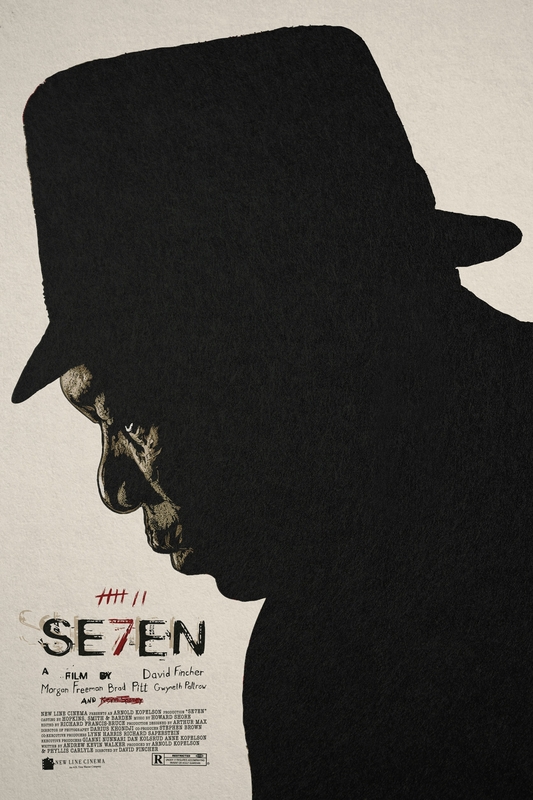 A legendary film in my opinion: SE7EN. To say it was a challenge would be putting it lightly. 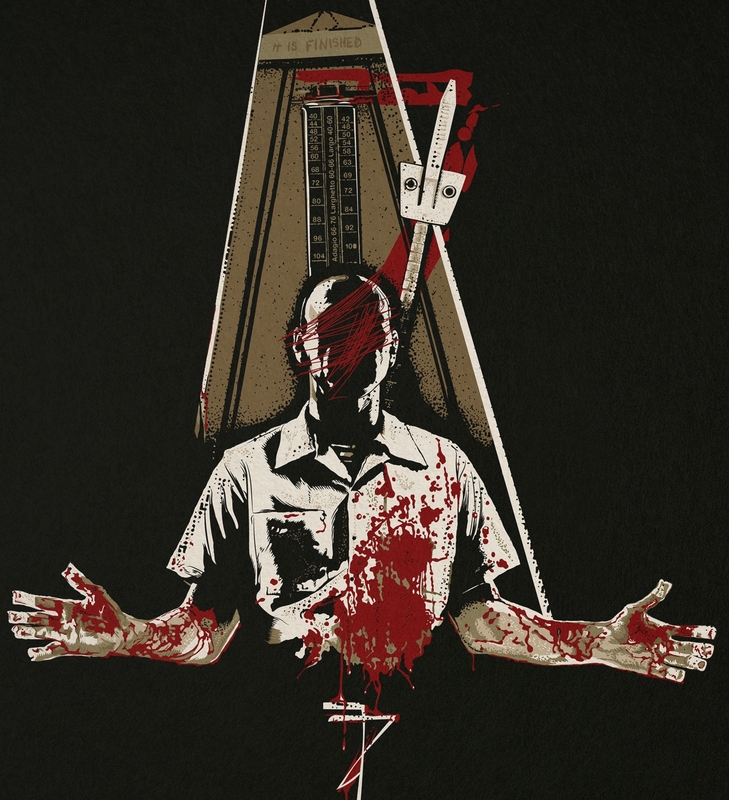 I opted for using my own personal take on the film as the crux of my composition. I have always held the belief that Morgan Freeman’s character (Detective Somerset) falls asleep to his metronome at the start of the film. What follows is a dream he has concocted where the perfect crime unfolds over the remaining 7 days before his retirement. Somerset has never successfully fostered a life for himself outside of his work. His work is his life and that life will soon be over. So the perfect crime ensues in his dream and gives rise to his alter ego (Brad Pitt AKA Detective Mills). Mills has everything Somerset doesn’t. A home, a wife, a child on the way, dogs and he still believes his cause is righteous. But alas, this alter ego is destroyed by the faceless John Doe cementing the need for Somerset to stay on the force and keep his (life) and job. 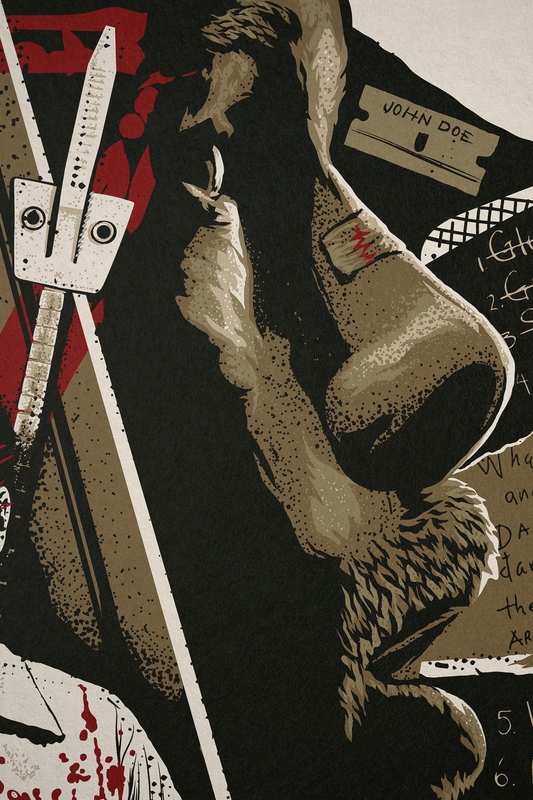 Somerset’s silhouette serves as the container for the imagery as the concept all happens within him. 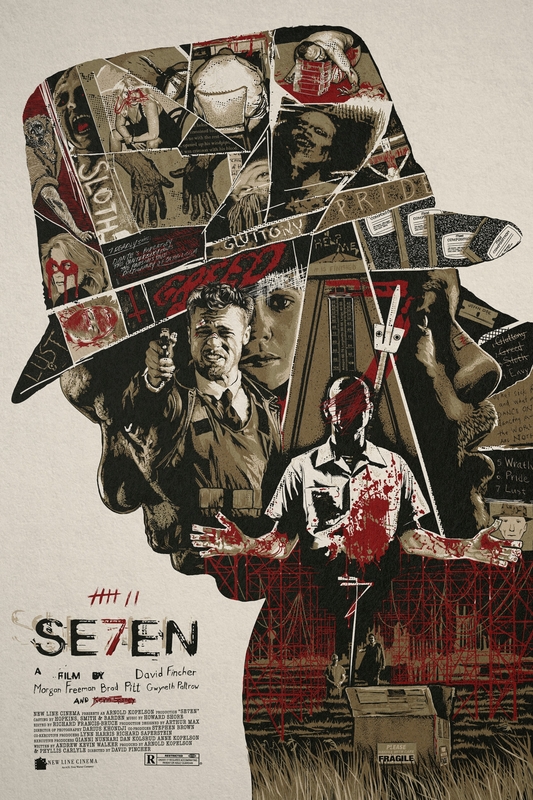 The poster evolves from top to bottom setting up the evidence first, then revealing the central characters with Somerset beginning to sleep on one side and Mills awakening stunned on the other with John Doe as the counter between. 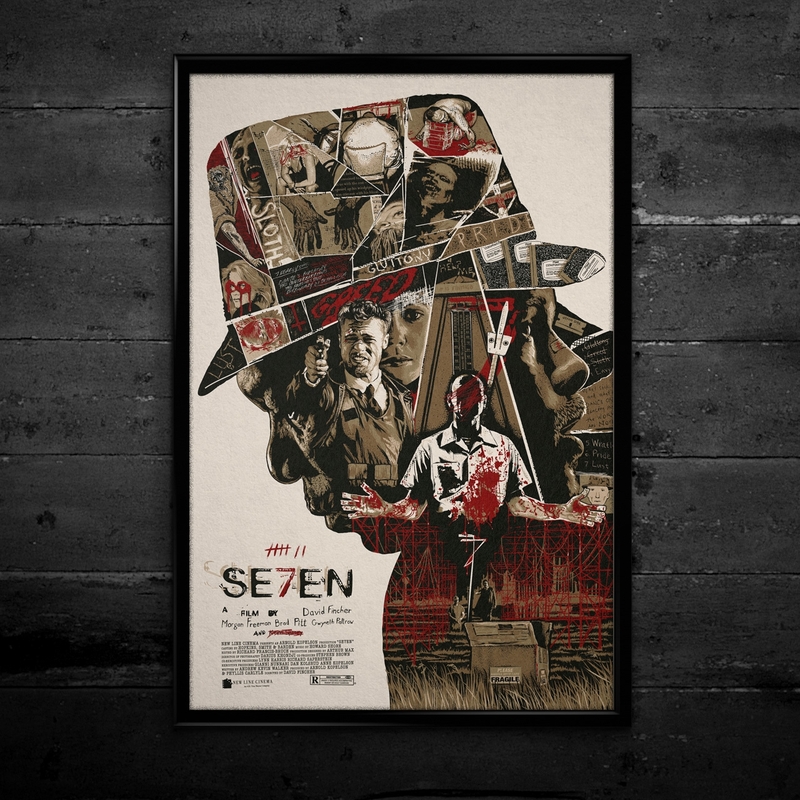 A series of 7’s move the eye downward through the composition to the final scene of the execution and of course the infamous box. 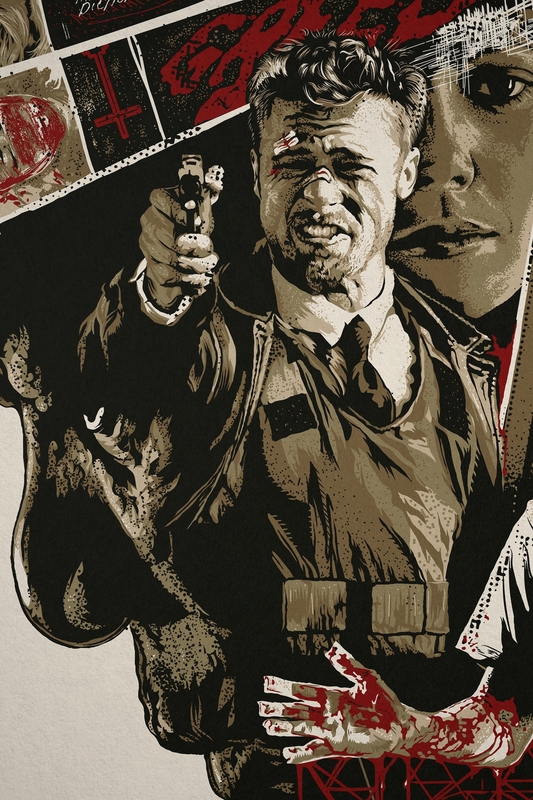 A warmer color palette was chosen to invoke an organic and somewhat grossly uncomfortable aura with the blacks kept extra dense as Fincher himself would’ve preferred. All of the typography (save for two easter eggs done in my own hand) were taken directly from scenes within the film. 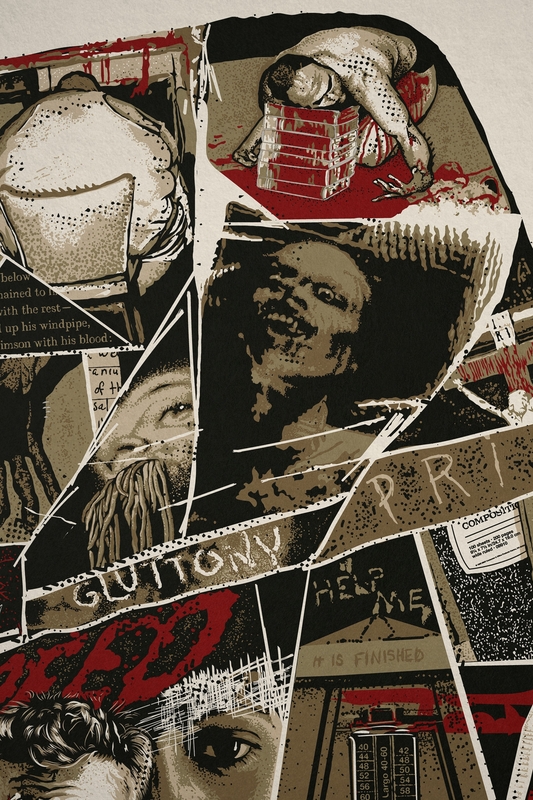 Even the bottom credit block incorporates some of the opening typography from the original film’s groundbreaking intro. My overall attempt was to create the ultimate fan poster. 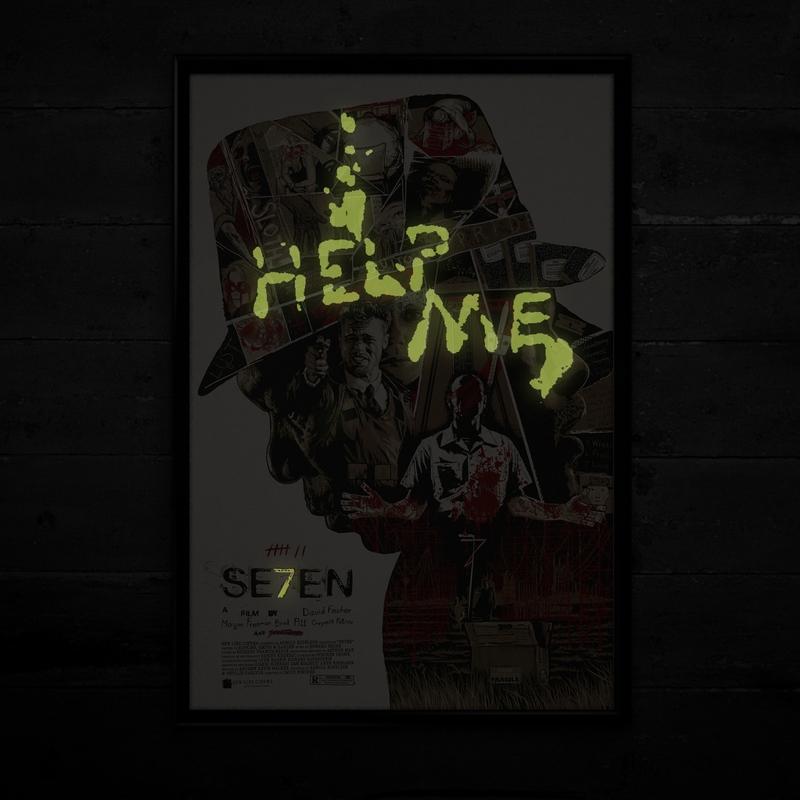 The poster also has a glow layer revealing the ‘Help Me’ that served as the evidence that broke the case in the film. Also in keeping with the film’s original marketing stunt, both the killer’s (Kevin Spacey’s) face and name have been scratched out. 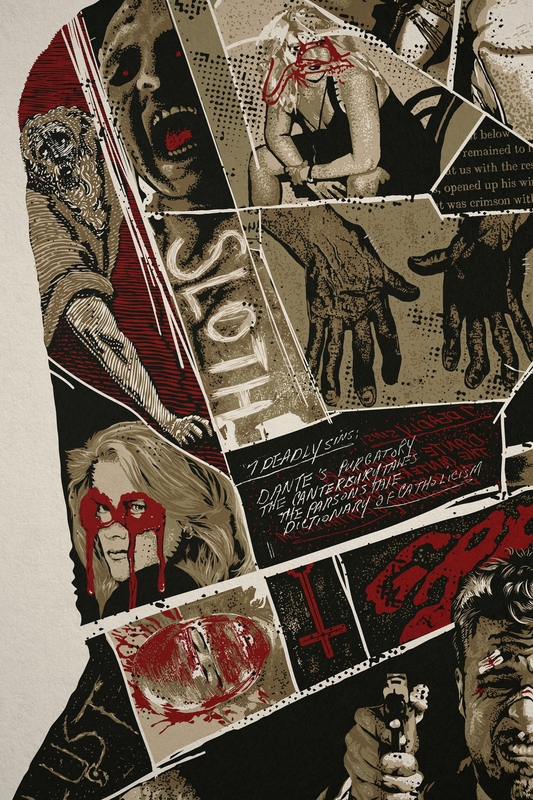 The poster was featured on SlashFilm which lead to a roll over of shares throughout the entertainment and creative industry.